Why are we different from the rest? Our ties to the local academic community give Archaeological Consultants & Contractors unmatched, exclusive access to specialized expertise, equipment, instrumentation and personnel. This in turn allows Archaeological Consultants & Contractors to provide complete and comprehensive consulting services at a very competitive price. The dedicated team of professionals at Archaeological Consultants & Contractors are experts at the rapid documentation and removal (if necessary) of all types of archaeological deposits. We strive to uniquely balance the timeline and budgetary constraints of our clients with the legislative archaeological and clearance requirements demanded by the Ministry of Tourism & Culture. With our utmost dedication to your projects, large or small, all of your archaeological assessment and excavation requirements will be met. Archaeological assessments are often required in advance of residential / commercial development or service projects (i.e. road widenings, utility corridors, and waste management facilities) in order to meet provincial and municipal legislation. Archaeological Consultants & Contractors is qualified to engage in historic and archival document searches and undertake intensive field surveys and excavations to in order to satisfy Ministry of Culture requirements and guidelines. Archaeological assessments are carried out through a stepwise process, starting with a background literature & archival search (a.k.a. Stage 1 archaeological assessment). This is typically combined with an intensive field survey (the Stage 2 archaeological assessment) as the early detection of a significant archaeological site through a detailed field assessment allows for the modification of a project's draft plan and timeline with a minimum of delay and expense. Most projects will start with a combined Stage 1 & 2 assessment. During the archival and historic records research of a subject property, archaeological potential is assessed through the identification of any known historic or pre-contact archaeological sites that have been registered on the subject property and through the identification of structures present on historic maps. This data offers an idea of what may be expected in terms of potential heritage concerns. A Stage 2 archaeological assessment comprises the field review of the subject property. An experienced archaeological field crew assesses the subject property under the guidance of a licensed field supervisor. On farmland, this assessment is typically carried out by means of a 5m pedestrian survey of the subject property. In standing woodlots, the property may be assessed through shovel test-pitting, a process in which small pits (30 cm in diameter by approximately 30 cm in depth) are excavated and the material is screened through 6mm mesh. In heavily urbanized or developed areas, ACC utilizes remote sensing (i.e. GPR, resistivity survey, magnetometer survey) and test trenching in order to determine the likelihood of archaeological deposits on the property. In underwater assessments, these techniques are carefully applied to submerged shorelines. In deeper locales, remote sensing (i.e. towed side-scan sonar’s and magnetometers) are utilized. If artifacts are encountered, they are catalogued and analyzed to determine their cultural and temporal affiliation, as well as their archaeological and/or their historical significance. If the deposit is deemed significant according to provincial legislation, Stage 3 work will be required. The goal of stage 3 work is twofold: to define the limits of the archaeological deposit, and to determine if the deposit is substantial enough to tell us something about the people that created it. The first step is a controlled surface collection, in order to record the location of each artifact found on the surface. Following this, a map is generated to reveal the artifact trending, density and distribution across the site. A grid and the surface scatter map is then employed to guide the placement and excavation of a series of one meter square test units across the site. Each unit is hand excavated to sterile subsoil and the soil contents screened through six-millimeter wire mesh in order to maximize the recovery of artifacts. The test units and grid are referenced to a site datum, and the location of each unit is recorded. If artifacts are encountered, they are catalogued and analyzed to determine their cultural and temporal affiliation, as well as their archaeological and/or their historical significance. If the deposit is deemed significant (i.e. is it big enough? old enough? ), Stage 4 work may be required if the site cannot be avoided or preserved. A Stage 4 requirement demands the total excavation of an archaeological deposit. Stage 4 recommendations are ideally avoided through the creation of a protected green-space, which surrounds and protects the archaeological deposit for future generations. However, in many cases, the avoidance of an archaeological deposit is not feasible and the site must be excavated and removed prior to development. When this occurs, Archaeological Consultants & Contractors is qualified and capable of conducting the excavation of any archaeologically significant deposits that can potentially occur within a subject property using responsible and cost-effective techniques. Many municipalities, in conjunction with a long-term development planning strategy, utilize predictive modeling of archaeological resources. An Archaeological Master Plan generated by Archaeological Consultants & Contractors begins with the compilation of registered and unregistered archaeological sites within the region and the preparation of an overview of the area’s settlement history. ACC then uses this material for the development of an archaeological site potential model based on known site locations, past and present land uses, environmental and cultural-historical data and a review of the current Provincial planning and management guidelines for archaeological resources. Archaeological Consultants & Contractors can provide a recommended management strategy for known and potential archaeological resources within their jurisdiction. Archaeological assessment has confirmed the presence of deeply buried or sealed archaeological resources. Archaeological assessment has concluded that it is likely that previously unassessed archaeological resources are present. Construction must avoid protected archaeological site areas. ACC can conduct on-site construction monitoring whenever construction work is proceeding in areas where archaeological resources are confirmed or where construction is extending to a depth of concern. As well, ACC, in consultation with the proponent and contractors, can prepare a contingency plan outlining procedures, documentation and time requirements in the event that archaeological resources are found. It should be noted that on-site monitoring techniques rely considerably on the field expertise and experience of the personnel involved, not only to recognize areas of high archaeological potential, but also to determine the appropriate significance of any archaeological resources encountered. ACC recognizes that work-stoppages represent significant costs to the proponent; this extreme measure will only be utilized when absolutely necessary. In most cases, ACC can work around and with construction activities while maintaining appropriate standards. Identifying the limits of unmarked cemeteries has become a priority for many clients in recent years. Boundary demarcation and burial location for 19th and early 20th century cemeteries is often unreliable. With the use of non-invasive remote sensing and traditional large-scale trenching, Archaeological Consultants & Contractors can provide reliable boundary information as well as approximate numbers of interments present at a site. In cases where remote sensing is an unsuitable method, Archaeological Consultants & Contractors can provide monitoring services to ensure that interments are identified during site modification while remaining undisturbed. As specialists in the scientific analysis of archaeological artifacts for many years, Archaeological Consultants & Contractors offers accessible, professional scientific and analytical services and advice to field archaeologists who may be surveying, recording, or excavating archaeological sites that produce ceramic, lithic, glass or metal objects. Whether the material is newly excavated or already held in museum, research, commercial, or private collections, Archaeological Consultants & Contractors offers an expert and comprehensive finds-study service, including trace element analysis, metallographic, mineralogical and chemical analysis. On-site evaluations can be arranged. Alternatively, you are welcome to send us details of your material and we will advise you on the most appropriate analytical methods. Ontario's submerged cultural resources are non-renewable and valuable. The archaeological and historical value of marine sites offer information and understanding of the past and interpretative opportunities for museums not provided by sites located on land because of the incredible preservation that can take place underwater. Archaeological Consultants & Contractors specializes and has experience in the practice of marine archaeology in Ontario. ACC staff are qualified to conduct underwater surveys and accurately record and inventory artifacts and wrecks prior to development impact. Often site avoidance is the preferred alterative, as the value of underwater sites and wrecks (with their associated artifacts) is maintained. However, exceptions may be made if artifacts must be removed because they are endangered, or for research and interpretative purposes. 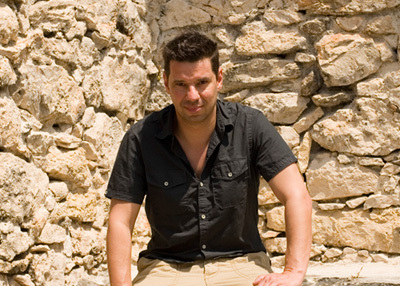 Archaeological Consultants & Contractors’ Principal Archaeologist, George R. Clark, has over 18 years of experience practicing consulting archaeology in Ontario. 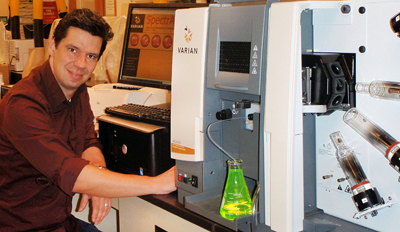 After earning a Bachelor of Science (Honors) degree in Chemistry from the University of Waterloo, George completed a Master of Arts degree in Anthropology from the University of Manitoba. George concurrently holds a position of Professor at the Seneca College of Applied Arts & Technology’s School of Biological Sciences and Applied Chemistry, where he teaches analytical instrumental methods to chemical and pharmaceutical technologists in addition to his consulting practice. His affiliation with Seneca College allows for unmatched, exclusive access to specialized expertise, equipment, instrumentation and personnel. George has directed hundreds of archaeological assessments all over Ontario, ranging from small stage 1 and 2 parcel assessments to large stage 4 historic and pre-contact excavations. George has also participated in and directed international excavations in Scotland and in Greece. George’s research interests include the study of archaeological materials through the regular application of instrumental chemical analytical techniques, including Liquid and Gas Chromatography (GC-MS/FID/TCD & HPLC), UV/Vis & IR Spectrophotometry, Flame/Furnace Absorption Spectrophotometry and Inductively-Coupled Plasma OES. George is also a PADI certified Master Scuba Diver and has participated in several near-shore surveys and underwater assessments in Ontario. George is a Professional Member of the Association of Professional Archaeologists of Ontario and is a Registered Professional Archaeologist. O.P. McCarthy & Associates Inc.